The Office of the Inspector General (OIG), situated at 26 Federal Plaza, New York, NY, is an independent unit responsible for promoting economy, efficiency, and effectiveness and detecting and preventing fraud, waste, and mismanagement in the General Services Administration’s (GSA) programs and operations. The OIG is located on the 30th floor of the building. The OIG’s mission is to help the GSA effectively carry out its responsibilities and to protect the public. They also work with agency officials to ensure administrative matters are addressed in a timely manner. After completing a Federal RFP against three other companies, Total Security Integrated Systems was awarded the RFP to install and integrate security systems to two new operations units within the OIG and ensure that the new and pre-existing independent systems were able to communicate properly. The OIG had some very specific needs when it came to integrating several different systems as Federal Buildings are mandated in how their security systems must operate. Beyond installing various new security solutions in their Audits and Investigations and Intrusion Detection System (IDS) units, Total Security had to ensure all of these systems were seamlessly integrated and enable the agents working out of the new units the ability to operate cohesively and effectively. The OIG Special Agents are tasked with performing investigations of fraud, waste, and abuse involving GSA programs and operations. These investigations may be criminal, civil, and/or administrative in nature, and special agents work closely with federal, state and local prosecutors to bring criminals to justice, to forfeit funds and property, and to ensure taxpayer dollars are returned to the U.S. Treasury. Total Security installed various new security solutions in the Audits and Investigations Unit and telephone entry integrated with surveillance cameras, and HSPD12-compliant Access Control Systems in the Intrusion Detection System (IDS) Unit. All of these new security systems were then seamlessly integrated. Total Security used a combination of federally-compliant hardware and worked together with OIG internal IT department to insure that the various independent systems were able to communicate properly. The IDS is able to connect and communicate directly with the FPS Megacenter, a federal facility monitoring service that oversees all federal buildings in the US. 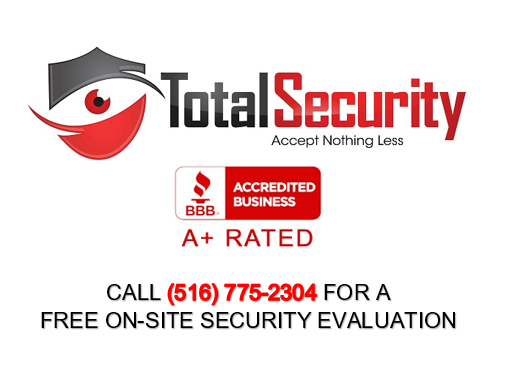 Total Security is the leading installer of access control systems throughout Queens, Long Island, NYC, and the New York/New Jersey area. We offer FREE on-site estimates for office security systems. Contact us today to help you create a custom-tailored security plan that will satisfy your office’s security needs.